The World Council of Churches (WCC) has said it will pray and work for peace between Eritrea and Ethiopia in an attempt to partake in the resolution of a longstanding border dispute. 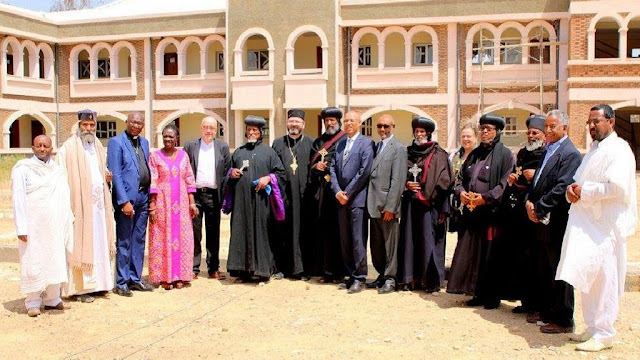 This was disclosed by a WCC delegation that visited the Eritrean Orthodox Tewahdo Church last month in what was labeled a historic visit by the body. It was the first time in over a decade that such a visit had been executed. The delegation was led by WCC programme executive and convener for Africa, Dr. Nigussu Legesse and Fr. Dr. Daniel Buda head of the Ecumenical Relations. They were met at the Asmara International Airport by high ranking officials of the Eritrean Church. The two parties held synod meetings following which the WCC delegation visited ancient monastries and archeological excavation sites dating back some 1,700 years.